On the 27th (Sat), take in panoramic vistas at Stratosphere Tower and then take in panoramic vistas at High Roller. To find maps, photos, and tourist information, refer to the Las Vegas road trip planner . Bratislava, Slovakia to Las Vegas is an approximately 17.5-hour combination of bus and flight. You can also do a combination of bus and flight. Due to the time zone difference, you'll gain 9 hours traveling from Bratislava to Las Vegas. Traveling from Bratislava in April, expect Las Vegas to be somewhat warmer, temps between 31°C and 16°C. 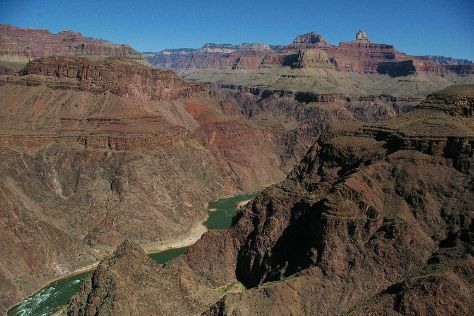 Wrap up your sightseeing on the 28th (Sun) to allow time to travel to Grand Canyon National Park. Kick off your visit on the 29th (Mon): stroll through Bright Angel Trail. For other places to visit, ratings, photos, and more tourist information, refer to the Grand Canyon National Park trip maker tool . You can do a combination of car and flight from Las Vegas to Grand Canyon National Park in 4.5 hours. Alternatively, you can drive; or take a shuttle. The time zone changes from Pacific Standard Time (PST) to Mountain Standard Time (MST), which is usually a 1 hour difference. Traveling from Las Vegas in April, you will find days in Grand Canyon National Park are slightly colder (19°C), and nights are cooler (-3°C). Wrap up your sightseeing on the 29th (Mon) early enough to drive to Death Valley National Park. Start off your visit on the 30th (Tue): take in the dramatic natural features at Zabriskie Point, take some stellar pictures from Dante's View, and then make a trip to Mesquite Flat Sand Dunes. For where to stay, reviews, maps, and tourist information, read Death Valley National Park online attractions planner . Drive from Grand Canyon National Park to Death Valley National Park in 7 hours. The time zone difference when traveling from Grand Canyon National Park to Death Valley National Park is minus 1 hour. When traveling from Grand Canyon National Park in April, plan for a bit warmer days and much hotter nights in Death Valley National Park: temperatures range from 29°C by day to 11°C at night. Wrap up your sightseeing on the 30th (Tue) early enough to drive to Los Angeles. 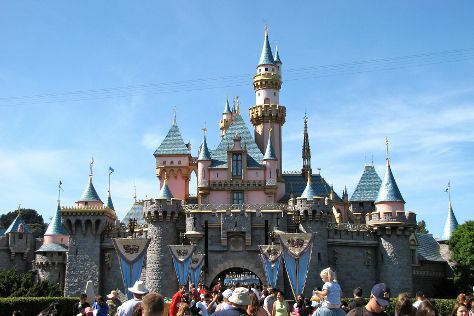 Kick off your visit on the 1st (Wed): find something for the whole family at Disneyland Park. On the 2nd (Thu), you'll have a packed day of sightseeing: appreciate the extensive heritage of Santa Monica Pier, then see the interesting displays at The Getty Center, then make a trip to Hollywood Walk of Fame, and finally see the sky in a new way at Griffith Observatory. To find other places to visit, reviews, photos, and tourist information, read Los Angeles vacation planner . Traveling by car from Death Valley National Park to Los Angeles takes 4.5 hours. Alternatively, you can do a combination of car, bus, and train; or do a combination of bus and flight. Plan for somewhat warmer nights when traveling from Death Valley National Park in April since evenings lows in Los Angeles dip to 15°C. Cap off your sightseeing on the 2nd (Thu) early enough to travel to Yosemite National Park. On the 3rd (Fri), explore the striking landscape of Bridalveil Fall. For traveler tips, more things to do, maps, and other tourist information, read Yosemite National Park attractions website . Getting from Los Angeles to Yosemite National Park by combination of flight and car takes about 4.5 hours. Other options: drive; or do a combination of flight and bus. When traveling from Los Angeles in May, plan for slightly colder days and colder nights in Yosemite National Park: temperatures range from 21°C by day to 1°C at night. Wrap up your sightseeing on the 3rd (Fri) early enough to drive to San Francisco. On the 4th (Sat), examine the collection at de Young Museum, then snap pictures at Golden Gate Bridge, then take in the waterfront at Fisherman's Wharf, and finally head off the coast to Alcatraz Island. 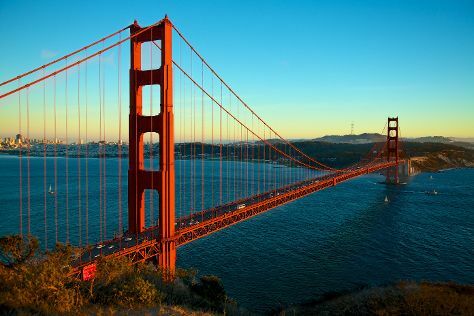 To find other places to visit, photos, reviews, and other tourist information, read San Francisco travel route planner. You can drive from Yosemite National Park to San Francisco in 4 hours. Alternatively, you can do a combination of car and flight; or do a combination of bus and flight. Traveling from Yosemite National Park in May, San Francisco is a bit warmer at night with lows of 13°C. Finish your sightseeing early on the 4th (Sat) to allow enough time to travel back home.